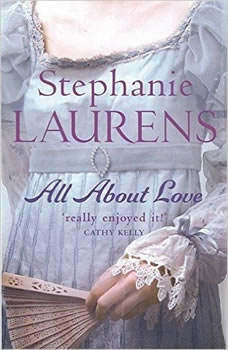 All About Love continues USA Today bestselling author Stephanie Laurens' Bar Cynster series. Determined to escape the matchmaking skills of London society, Alasdair Cynster-better known as Lucifer-heads for the English countryside. But his flight from London leads him straight to Phyllida Tallent, a beautiful, strong-willed young woman who is as equally determined as he is to remain unmarried.